There’s a popular description of having a disability that makes its way eventually onto every multiple sclerosis discussion board on the internet: the Spoon Theory, Christine Miserandino’s personal story and analogy of what it is like to live with a disease (lupus in her case). Indeed, it is an eloquently simple description of what life often is like with multiple sclerosis and its ubiquitous fatigue. 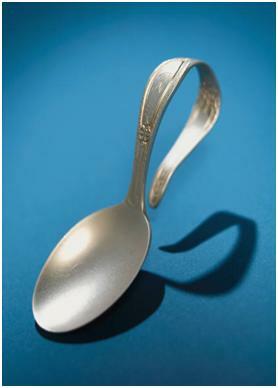 And here is where the Spoon Theory gets a bit bent ala Uri Geller. Instead of having fewer spoons tomorrow, what if you could actually collect more spoons? Instead of a dozen per day, maybe 14 or 15, and then maybe 20 or even 25. Perhaps you can. According to copious multiple sclerosis studies and research, exercise reduces fatigue in MS, in some cases dramatically. I know, it sounds counterintuitive. Exercise is hard. Exercise makes you tired. Exercise costs you precious spoons. You certainly can’t afford to waste any of them on an endeavor that on the surface accomplishes little more than making you stinky, musses your hair, and makes it feel as if a pickup packed with portly pachyderms has presciently pancaked you. Yet that’s okay. Because the benefits are almost certainly worth the upfront costs. Exercising on a regular basis and getting fit will eventually forge new spoons for future days. Yes, it will take time to crank out a usable set of flatware. Yes, it will be challenging to learn (or get back into) a new craft. But you can do this. Give MS one helluva shot with a sledgehammer … and become your own blacksmith—your body the anvil, your desire the furnace—and forge some new spoons. Another famous bit of misunderstood colloquial wisdom is “Don’t over do it”. Dave, I love the spoon analogy, I haven't heard that before. I'm hoping that exercise reduces fatigue in my MS. Being newly diagnosed I am going to work to try to maintain my current exercise program (I'm running a marathon next week). I pray and hope that I am able to keep exercising and maintain some sort of physical fitness long term. My neurologist cautioned me to be careful with too much exercise. I walk every day on my lunch at least 20 minutes if not more. I am completely exhausted by the end of my week. Seeing all of your posts about how I can get more energy with exercise causes me to question why a neurologist would caution against exercising too much. Perhaps I need to shrug his advise off and just do it.